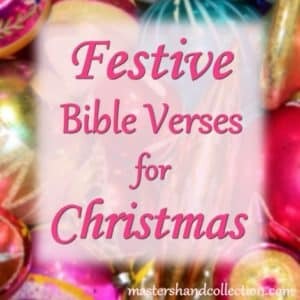 This Christmas Bible Verse is one of my favorites. 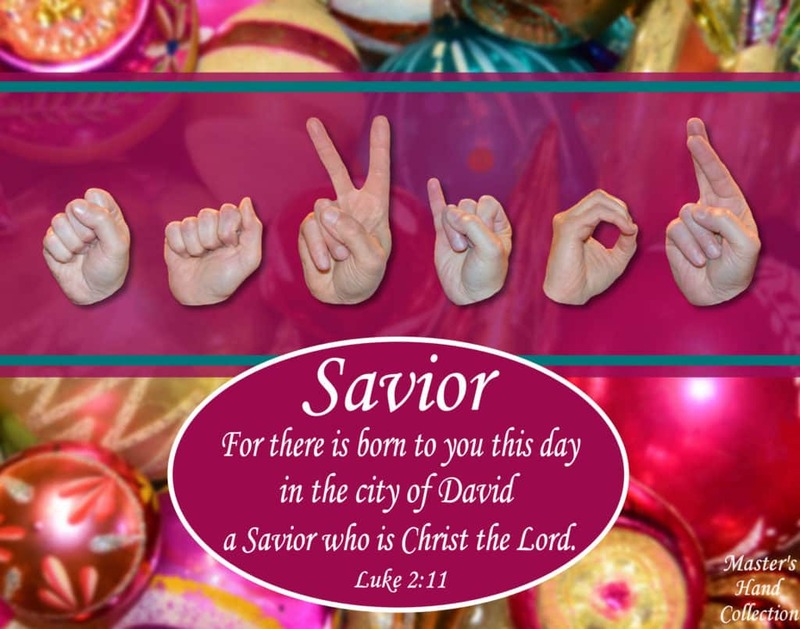 As the angels announced the birth of Jesus, they proclaimed the three titles given to Him, Savior, Christ (Messiah), and Lord (Yahweh or God). I accordance with the Father’s plan, Jesus was both God and man. Born to live the perfect life we never could and die to save us from our sins. Praise the Lord, the Son has come! We all love babies because they bring us so much joy. We eagerly await their arrival and when the birth announcement comes in the mail we can’t wait to hear… is it a boy or a girl, how much do they weigh, how long are they? That birth announcement becomes a keepsake that we cherish. I have the birth announcements from my family going back several generations. They hold a special place in my heart because those people are so dear to me. It’s a joyous occasion the first time we see that baby. We take a deep breath in and smell that scent only babies have, we feel their soft skin, then count their fingers and toes. A new life has begun. It’s an exciting moment! But there was once another birth announcement that was even more exciting. The birth of Jesus! The angel who made this announcement may not have told us the baby’s weight or whether or not He had a full head of hair when He was born, but we learn something much more important about the baby born in Bethlehem that day. 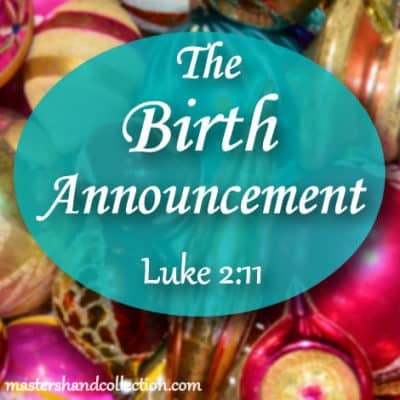 Jesus is given three titles upon his birth, Savior, Christ and Lord. Each of these titles is important and separate. Jesus came to earth for the sole reason of saving us from our sin. He is the only source of salvation and the only way to the Father in heaven. Because of Him we can have forgiveness of sin and eternal life through Him. 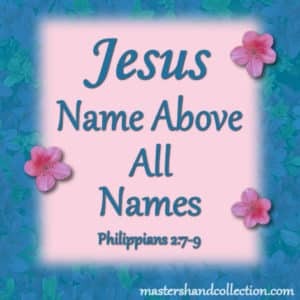 When we hear Christ, we think of it as a name, but it is a title and not a name. It means Messiah or Anointed One. There are many references to the coming Messiah, the Son of God, in the Old Testament and this angel clearly states that this baby born to us is that promised Messiah. He is special because He is the only one. There is no one else like Jesus. He alone is the Anointed One of God. Therefore God, Your God has anointed You with the oil of gladness more than Your companions. This title of Lord means Ruler or God. It tells us that Jesus is divine in nature. He is both man and God and will rule over creation with the Father. These three titles define the man who would soon die on a cross for our sin. Jesus is the Savior of the world, the promised Messiah and the Ruler of all creation. Today, let’s celebrate the most important birth announcement in history, the baby Jesus! Therefore the Lord Himself will give you a sign: Behold, a virgin will be with child and bear a son and she will call His name Immanuel. 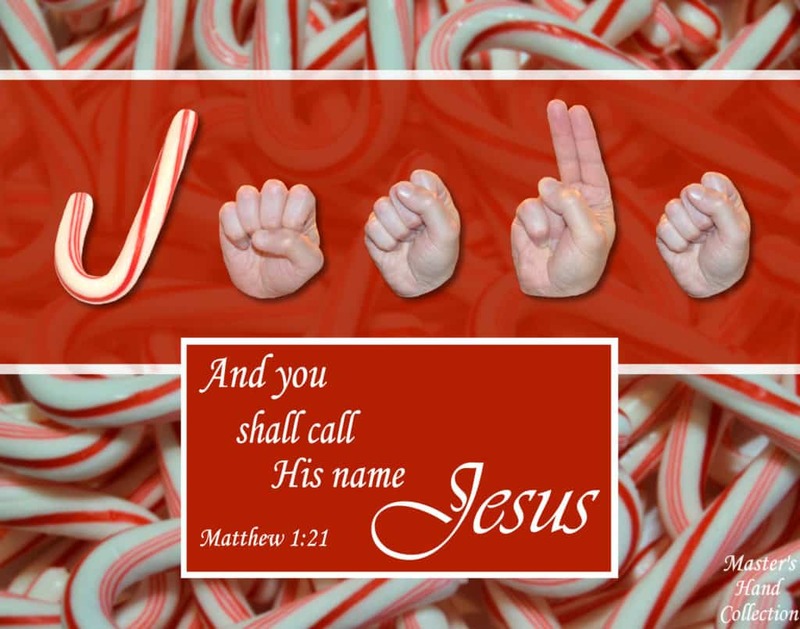 Jesus has many names and titles, and within this verse, we learn His name, Immanuel, which means “God with us”. Each part of the Holy Trinity has a unique role to play with humanity. And from His name, Immanuel, we see that Jesus is the part of the Godhead come to earth. 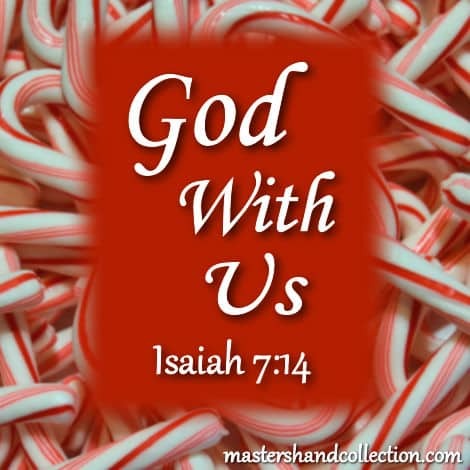 Long before Jesus was born in a manger, Isaiah prophesied of the virgin birth and a child who would be called God with us, here on earth. In the book of Matthew we can see Isaiah’s prophesy of Immanuel fulfilled. For that which is conceived in her is of the Holy Spirit. And she will bear a Son; and you shall call His name Jesus, for it is He who will save His people from their sins. Jesus is God with us, and He is the also the only One who saves us from our sins. It was always the Father’s plan to send the Son to die for our sin, so we could be with Him in heaven eternally. Jesus willingly gave up His rightful place of honor in heaven, came to earth to live the perfect life that we never could and became the sacrifice for our sin. He died in our place and filled the gap between heaven and earth. If we believe in Him, we are forgiven, become righteous in the sight of God and share in the inheritance of the Son. Then, Jesus is with us from that moment on. Jesus wasn’t just God with us for the short time that He was physically here on earth, He is with us right now! This is the promise that we as Christians hold tight to. Once we believe in Jesus and put our trust in Him, we are no longer alone. Whatever life throws at us, Jesus promises that He is always there and He will never leave us. When times are good, He is with us and celebrates our success. When times are bad, He is there to lift us up and get us through it. This same faith that we have in Jesus also gives us free and full access to the Father whenever we want it. We can boldly enter the throne of grace and seek God’s face. Whatever troubles we have, we can take them directly to God because He wants to have a real and loving relationship with each one of us. That is why He gave us His only Son, Immanuel so that we could be with Him forever. Because of the Father’s plan for Jesus to be God with us, we can be completely confident in our faith in Jesus! He has conquered sin and has made a way for us to have eternal life. And He will keep His promise to be with us to the end of the age because He is “God with us”. 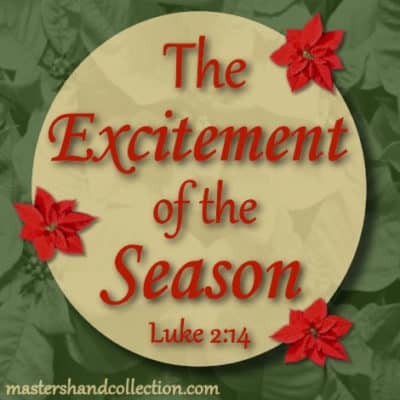 I pray that you will feel the joyful presence of Immanuel in your life this Christmas season and always! “By the same faith we have in Jesus, we also have free and FULL access to the Father.” Yes and Amen! Hi Rachel! Thanks for stopping by. I’m so glad we’re friends and neighbors at Faith on Fire. I hope you have a blessed and Merry Christmas! 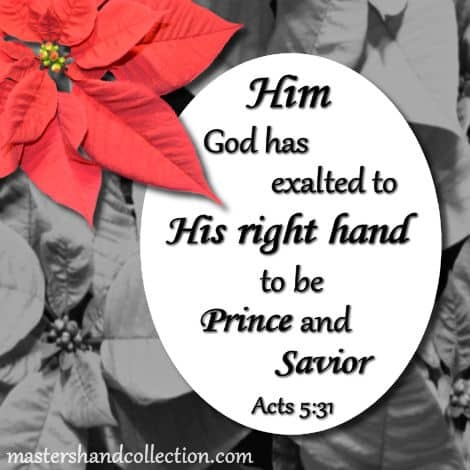 This Bible verse for Christmas speaks to the simple truth of who Jesus is, Prince and Savior. Exalted by the Father and seated at His right hand. 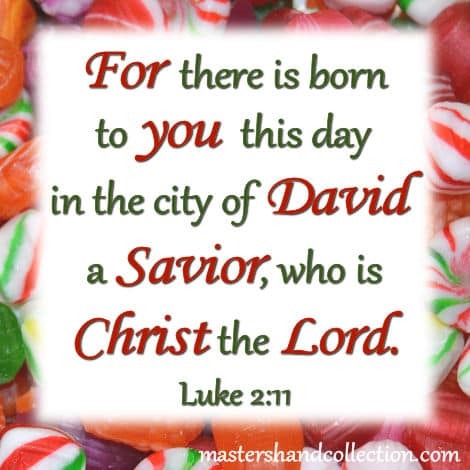 Christmas is about the birth of our Savior, humbly born in a manger. But as we celebrate the birth of Jesus, let’s also remember His death on the cross and the new life we have through His resurrection! The Old Testament is full of scriptures that point directly to Jesus. 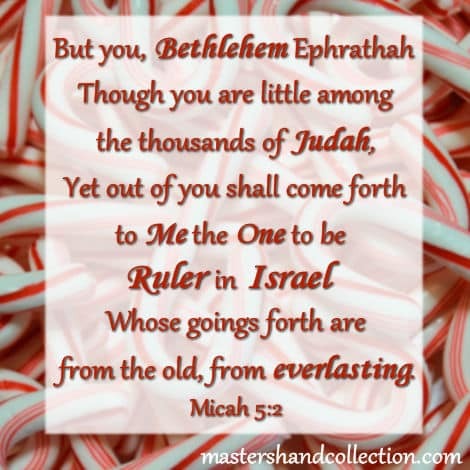 This Bible Verse for Christmas is a statement of who Jesus is, the Promised Messiah, Chosen One, and Ruler of Israel. He was there before time began and His coming was predestined thousands of years before His birth. Praise the Lord for that truth! Merry Christmas to all of you!